BRYAN EATON/Staff photo. 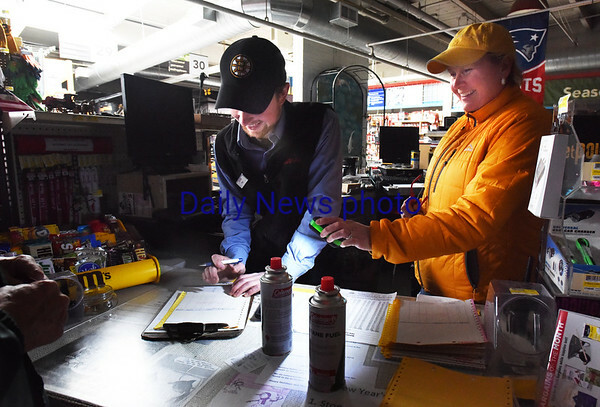 Lisa Kelly of Kelly's Hardware in Newburyport holds a light for Sam Tocci as he fills out a receipt for a customer. The store was selling many batteries, lamps, fuel and bundled firewood.